This simply furnished and lovingly decorated holiday home is situated in little town of Žrnovnica at the foot of mount Mosor. The ground storey house offers two bedrooms. This simply furnished and lovingly decorated holiday home is situated in little town of Žrnovnica at the foot of mount Mosor. 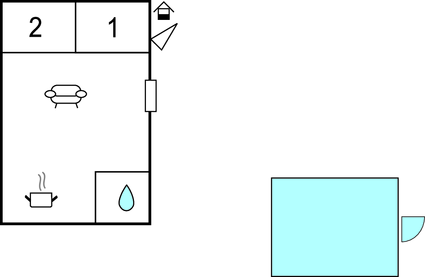 The ground storey house offers two bedrooms, a large dining-living room combo and a bathroom. There is a lovely fenced garden and a pool where you will be spending a lot of great time in preparing grill dishes while your children play. Split, the largest coastal town of Croatia, offers plenty of fun for all generations: from museums and galleries, over sport fields, to great restaurants and bars. This villa is made from brick or stone and was originally built in 1986 and refurbished in 2017. The agent has rated it as a three star property so it is a well-kept villa, equipped with standard furniture. It is also good value for money. 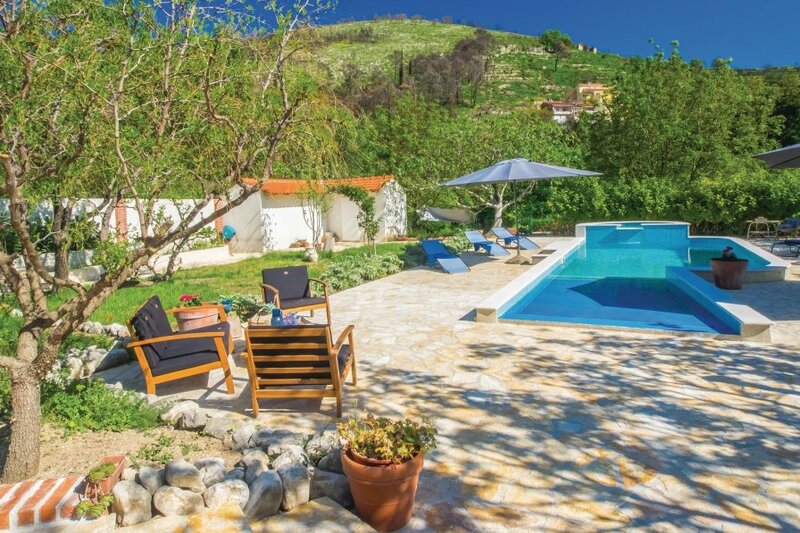 This villa has a swimming pool and view over the landscape; it is also located in Žrnovnica, only 13km from Split. The nearest airport is only 30km away. It is set in a good location, 4km away from a stone and pebble beach. There's also a restaurant only 10 metres away. The villa has free wireless internet. You can also park on-site at no extra charge. The villa is well equipped: it has a refrigerator, washing machine and dishwasher. It also has some garden furniture outside.